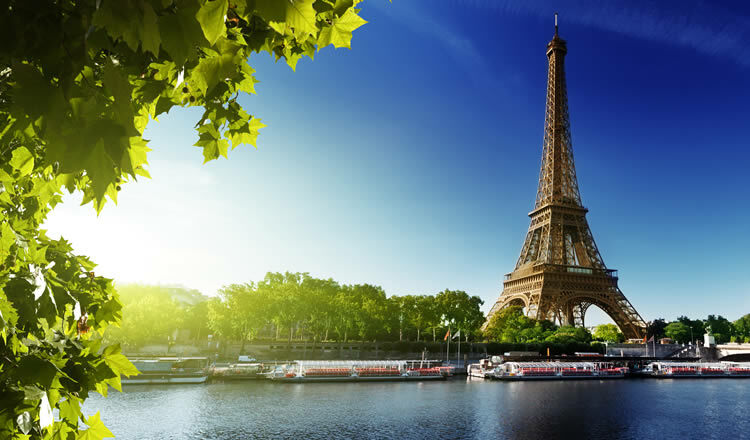 Paris offers some excellent pre and post cruise hotels that will definitely make your trip even better, not to mention the fact that the most romantic city in the world is something you most definitely should see at least once in your life. This vibrant metropolis offers many amazing sights and it will surely charm you in no time, so it is definitely worth a visit. Are you ready to experience Paris, France and everything it has to offer? A nice long cruise in Europe sounds like a great plan for your holiday, but if you want to extend your vacation for a couple more days and see some more sights, there are many interesting places you could visit to enjoy your trip to Europe even more. If you are taking a cruise from Barcelona, Southampton UK, Rome in Italy or any other city in Europe, you could extend your vacation and spend a couple of days in the spectacular city of Paris, France. France is a land with many excellent hotels, so you should have no problems finding great accommodation that will enable you to extend your vacation in one of the pre and post cruise hotels in Paris. If you want to enjoy the lively night life in Paris, making sure your hotel is located near the city centre is definitely a great idea. If you prefer to enjoy the day time in Paris and would rather get a good night’s sleep during the night, then perhaps you should consider hotels that are located in the suburbs of Paris. You will have to use public transportation to get to most attractions; however, the suburbs tend to be a lot more quiet and peaceful, so it might be worth the trip. If you are visiting during the summer, check if your hotel has air-conditioning, as it can get quite hot during the sunniest summer days. And if you are visiting from abroad, bringing a travel adapter for the electrical plugs is definitely a good idea; the hotels usually have some, but it never hurts to be prepared. Paris has been known as the most romantic city in the world for quite a while now, but that is most definitely not all this stunning city in the heart of France has to offer. Paris is also a cultural, historical, and gourmet metropolis that offers something for absolutely everyone. There is always something to do here: you can have a delicious dinner in one of the best restaurants in the world where Michelin star chefs will impress you with their signature dishes, you can visit some of the most remarkable museums and galleries in the world, you can dance the night away in some of the hippest clubs out there, or you can simply wander around the charming streets of the beautiful Paris and enjoy the atmosphere of this truly stunning city.